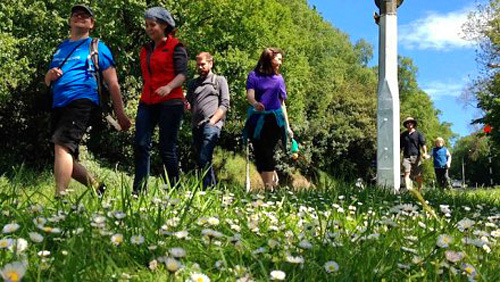 Tue, 24 Feb 2015 at 2:53 p.m.
It’s time to get your walking shoes on again and explore one of Dunedin’s great natural and historical landscapes. 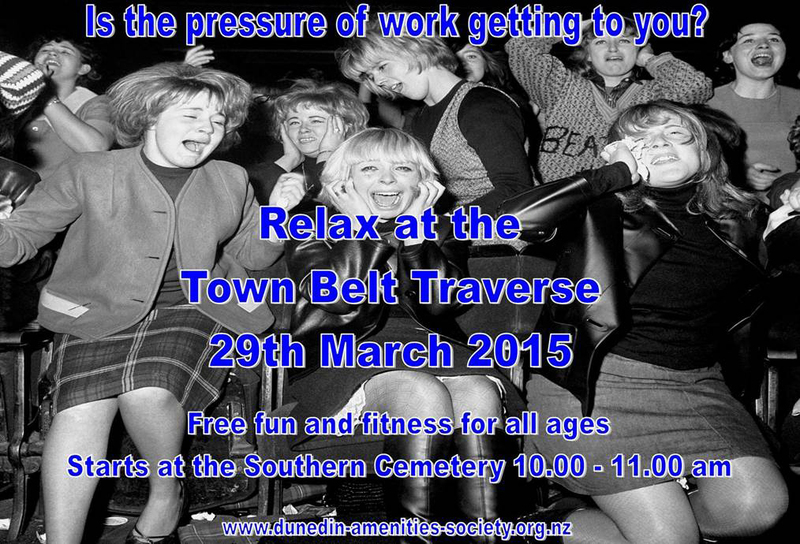 The Town Belt Traverse is an 8.2 kilometre walk from the Southern Cemetery to Woodhaugh Gardens taking in the heart of the Dunedin Town Belt on Sunday, 29 March. The great thing about it is it’s absolutely free! The route is a pram friendly event for people of all ages, stopping off at five points along the way. 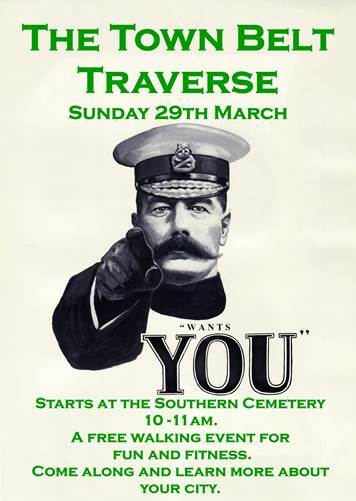 The Participants will receive a map and ticket at the car-park inside the Southern Cemetery. 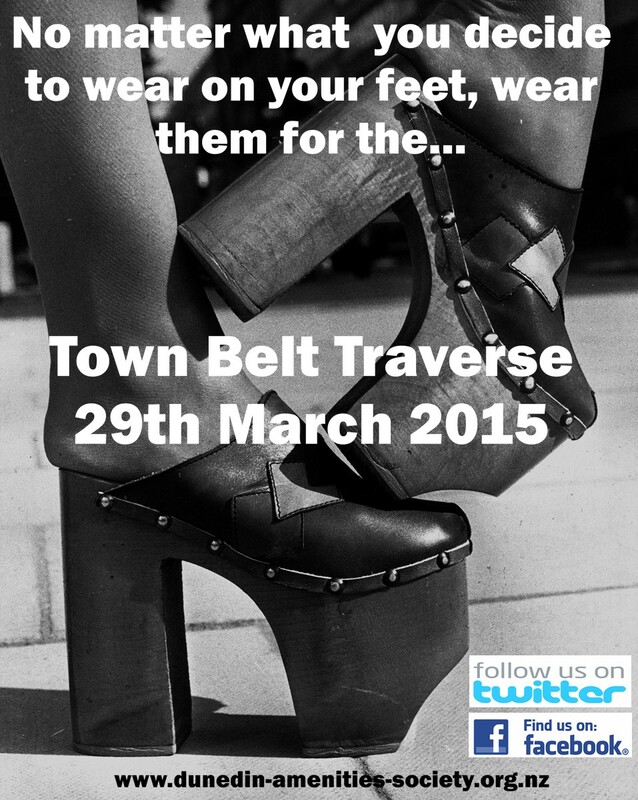 The traverse starts between 10:00am – 10.30am and all participants must complete the traverse by 1:30pm. Collect a stamp at all five marshal points and you can be eligible for some great local prizes. The route is marked and there will be marshals at road crossing points along the way. █ More information at the DAS website. 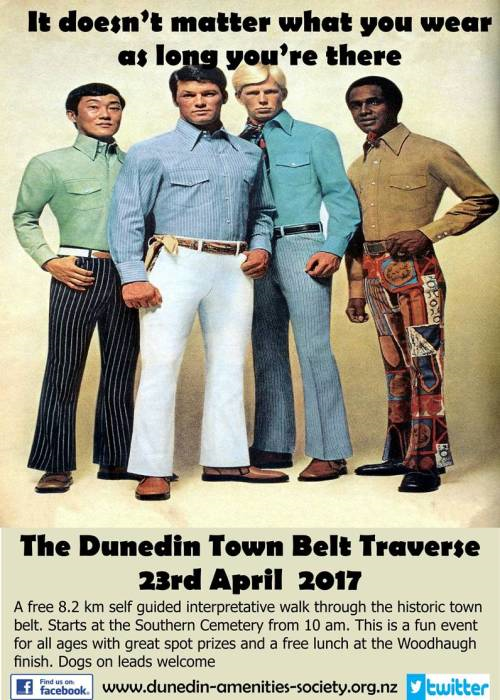 For the Dunedin Amenities Society the protection and enhancement of the Town Belt was the beginning of its foundation in 1888. The Society was founded through the energy of Thomas Brown and Alexander Bathgate to protect, enhance and promote Dunedin’s landscape and biodiversity. 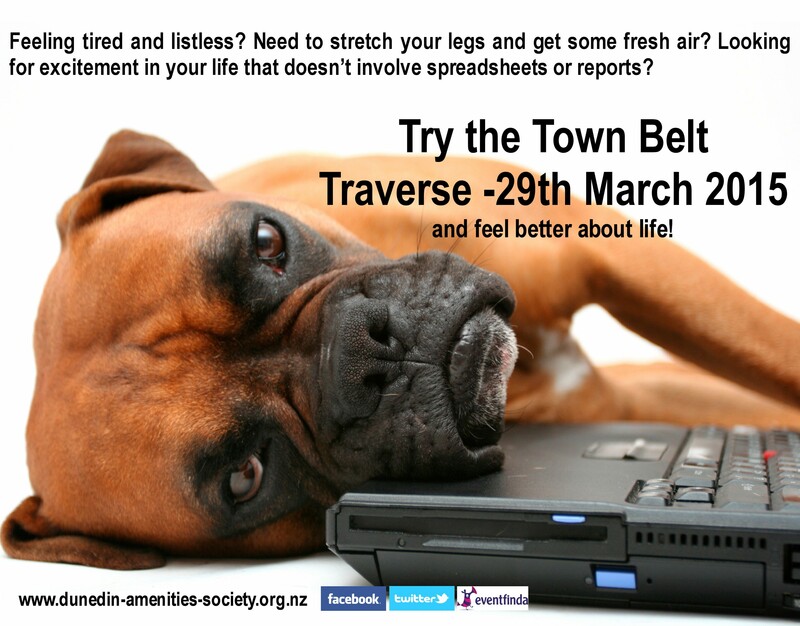 The Town Belt Traverse is your opportunity to explore through a self-guided walk one of New Zealand’s great reserve sites. 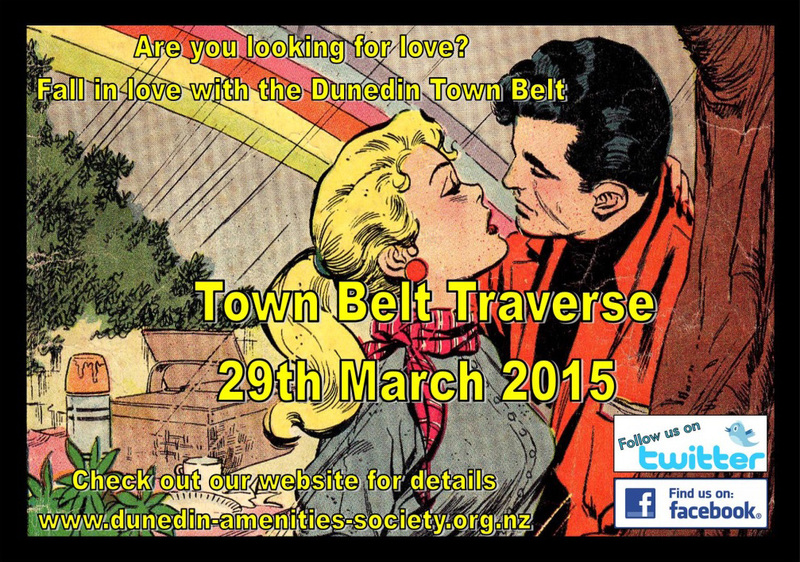 The Dunedin Amenities Society established in 1888 is New Zealand’s oldest environmental society.